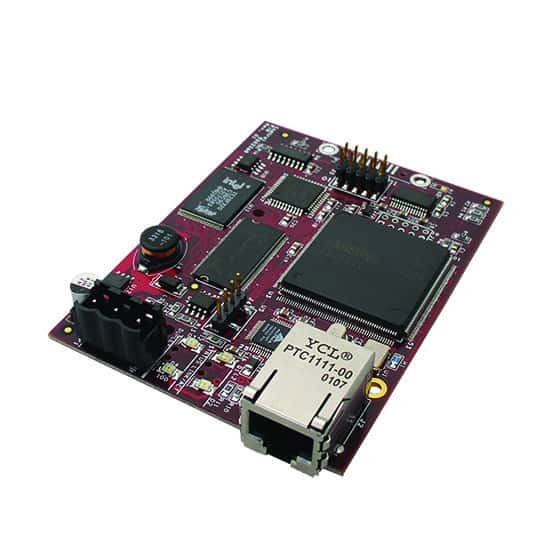 The Comtrol DeviceMaster RTS 1-Port Embedded VDC 99470-1 product is a single-port embedded device server designed for network-enabling serial components inside a larger system, such as a kiosk, mail sortation system, or cash machine. When used with the included NS-Link™ driver software and a host PC, the DeviceMaster RTS embedded ethernet interface enables placement of COM or TTY ports anywhere on an Ethernet network or across the Internet. 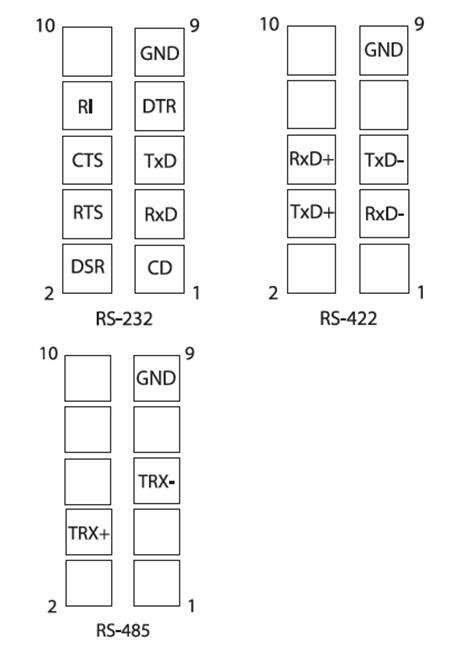 In applications where connecting legacy serial devices to a PC without software changes is a requirement, a pair of DeviceMaster RTS units can be used to create a point-to-point serial tunnel across the network that seamlessly transfers serial data via TCP or UDP socket connections. This product is RoHS 2 compliant under CE. Dimensions 3.5" x 0.6" x 2.6"
ESD Surge Protection Provides a minimum of 15KV protection. All Ethernet components are rated to 1.5KV magnetic surge protection. 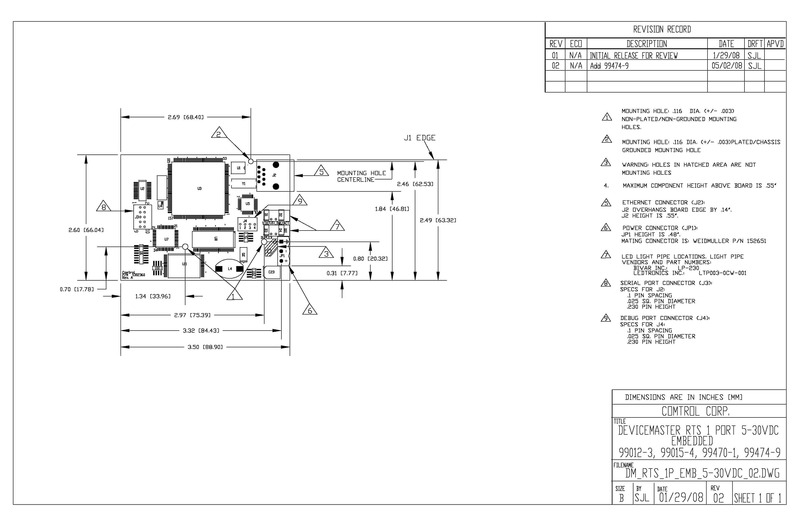 Package Dimensions9.13" x 3" x 6.94"
DeviceMaster ® RTS VDC 1-Port Embedded DB9 User Guide Contains detailed installation procedures and configuration information. All Comtrol products come with easy-to-use documentation on a CD. For technical assistance, our U.S.-based technical support team is only a phone call away. Comtrol offers a 30-Day satisfaction guarantee and a 5-year limited warranty on all DeviceMaster RTS family products!